Buying a home is an exciting experience, but it can also be very stressful. One of the biggest worries is will I get value for money? It is highly recommended to hire a professional to carry out a detailed structural survey, especially if you are buying an older property. This will help highlight any issues you may not have been aware of when you made your offer. For example, if the survey discovered that the roof needed to be completely replaced, you could change your offer to account for this, or decide not to buy. This helps you avoid buying a dreaded “money-pit”. Through our pre-purchase property defect structural survey of your intended house purchase we will ensure that all of your interests are protected. When making such a big and life-changing investment, we feel it is important that you are fully informed so you can make the best decision for you and your family. In all of our surveys, we forensically examine every aspect of the property. We prepare a clear and detailed report documenting every issue that we have uncovered and issue this to you, the prospective purchaser, and your solicitor . We then meet with you to discuss our findings. We can answer all of your questions and can make recommendations on what remedial action would be necessary. If you decide to proceed with the purchase, we will then scrutinise all the documents sent to your solicitor by the seller. This is to ensure that the documents are correctly worded and everything is in order. We will work with your solicitor to ensure that all angles are covered. All of our surveys are carried out by a registered building surveyor and a Chartered Engineer. 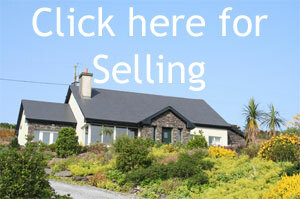 Here at Declan Noonan & Associates we have years of experience dealing with property transactions. Click here for our step by step guide to buying a house. Our property inspection report is all inclusive. The industry sometimes attempts to be evasive, by appropriating different names to different reports, for example a structural report, a snag list, a pre-purchase report. This suggests that one report does not cover another report, in an attempt to avoid responsibility. Our reports are all inclusive. We give you a structural opinion, a detailed list of building faults and snags encountered, a schedule of works needed on the property and an estimation of the costs involved. We can also advise on energy performance; planning permission compliance; possible future development opportunities, a realistic valuation of the property and a septic tank assessment. Every property is different, with it’s own unique set of circumstances. We deal with the issues pertaining to the property in question and attempt to answer all the questions you may have so you can rest assured that you are fully aware of the state of the property before you commit to purchasing it. When taking out a mortgage, home buyers have to provide their mortgage lender with a valuation report. This is not a detailed survey report – it simply outlines whether a property is suitable for the bank to offer a mortgage. In fact, Declan Noonan & Associates can help with any paperwork required for a mortgage. We will check that the contract sale map accurately reflects actual position of the boundaries on the ground. We can also confirm the actual area of land and sign a declaration of identity to that effect for your solicitors. If you are buying or renting a house or apartment, you are entitled to a BER. Any advertisement for a property for sale is required to display the BER Rating. As registered Domestic BER Assessors, we can verify the BER Rating of the property you wish to purchase. Rogue traders or inexperienced BER Assessors can sometimes give a rating that is not a true reflection of the energy efficiency of the property you want to purchase. We will ensure that the BER rating given by the sellers is accurate. If you are searching for property in the Tralee – Killorglin – Dingle Peninsula area, we recommend that you contact Dingle Homes. They offer a “house hunting buddy” service. They offer great advice and guidance in your search for the right home or property for you. Their comprehensive service covers everything from helping you find the right house for you, to managing the property once you have purchased it. 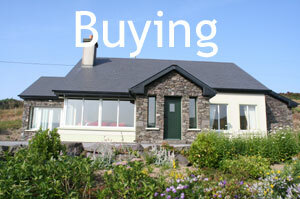 Click here to go to the Dingle Homes website.